Join us in thanking Senator Durbin for his leadership in introducing the bipartisan BRIDGE Act, which would protect young people who stepped forward to receive protection under DACA (Deferred Action for Childhood Arrivals) from deportation if the program is discontinued. If you are in Representative Luis Gutierrez’s district, please thank him as well for introducing the companion bill in the House, or encourage your Representative to join them to support this critical piece of legislation. Interested in building your mediation skills and volunteering as a mediator? Take the Center for Conflict Resolution’s (CCR) Mediation Skills training. This hands-on 40 hour training will be held on February 27-28 and March 6-8 from 8:30am-5pm at 11 E. Adams. For pricing, CLE credit availability, other information, and to register, visit CCR’s website. The Justice Entrepreneurs Project is seeking entrepreneurial and public interest-minded recent law graduates for its next class of lawyers who will begin the program in May 2017. 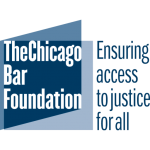 At the Justice Entrepreneurs Project, we prepare talented and entrepreneurial lawyers in the Chicago area to manage innovative, socially conscious, and successful law practices. We believe in the power of entrepreneurial lawyers to make a difference as solo practitioners in the quest to ensure access to justice for all. 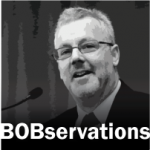 A New Year’s Resolution for the Legal Profession: Stop Calling People Non-lawyers! Every once in a while I will read an article or hear a speech that causes me to recognize I’ve been acting like a fool in one way or another. And I am certain I have many more opportunities ahead of me for that kind of recognition. A great example of this phenomenon occurred for me not long ago when I heard Jordan Furlong, a very perceptive analyst of the legal market and the future of our profession, note that we are the only profession who describes everyone who is not one of us as a non. He’s right. 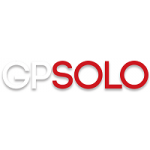 You don’t hear doctors calling everyone else in the medical field non-doctors, or CPAs calling their colleagues non-CPAs. In fact, it sounds absurd to even imagine them or any other professionals doing that. Yet that’s exactly what we do as lawyers, and I have certainly been guilty of my share of it over the years. While I have no idea how we got started using the non-lawyer expression, and I don’t think it is something lawyers do with any ill will, it is pretty offensive when you think about it. And it betrays a shortsighted and artificially limiting mindset that has a number of negative consequences for access to justice, the future of our profession, and our public image as lawyers. 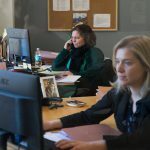 Whenever there needed to be a legal voice at the table, the Legal Aid Society of Metropolitan Family Services had a seat. With former U.S. presidents on the board, and handwritten letters from Presidents Nixon and Roosevelt outlining their appreciation for the work the organization does, LAS has a legacy that is unparalleled. 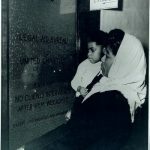 As the second oldest legal aid organization in the nation, LAS, one of the many outstanding organizations you are supporting through the Investing in Justice Campaign, has been a pioneer in defining what justice for all really means. 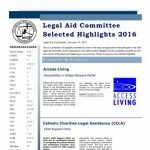 Founded in 1886, the organization was one of the first in the country to provide legal services for the poor. Its mission is to protect and strengthen families by providing equal access to justice for the most vulnerable citizens, including low-income people, the elderly and victims of domestic violence. Looking to provide critical pro bono representation for asylum-seekers in the new year? National Immigrant Justice Center is holding a training on February 2nd from 1:00 to 4:00 pm at Greenberg Traurig (77 W. Wacker). CLE credit will be available. To sign up, RSVP to cramazzinavanmoorsel@heartlandalliance.org. 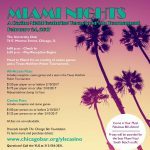 Shake off the cold weather and raise funds for the CBF while enjoying an exciting evening with your colleagues and friends at Miami Nights! The Young Lawyers Section invites you to The University Club on Friday, February 24 for an evening of table games, a Texas Hold’em Tournament, and South Beach inspired food and drink. 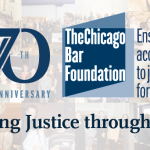 Proceeds from the evening support the CBF’s work in Chicago’s legal community to make the justice system more fair and accessible for everyone. Attendees can choose from an all-access pass that includes the poker tournament or a standard casino pass (early bird rate through February 10). Visit www.chicagobar.org/ylscasino to learn more and purchase tickets.